A good first day of school doesn’t just happen. It takes thought and planning – whether the project is getting a district ready for 37,000 kids, or a school ready for hundreds, or a family ready for one or a few. So on behalf of our GO community, thanks to everyone who readied a classroom or a lesson or a building or a district. It was inspiring visiting schools this morning and watching the photos post on Twitter and Facebook – first the beautifully decorated empty classrooms, then the buses and playgrounds and hallways and rooms filled with excited, nervous kids. Thank you to the many supporters and leaders of the Oakland Promise. Three hundred seniors recently embarked on their college dreams thanks in part to the Oakland Promise and East Bay College Fund. This year the Oakland Promise will awarded another round of scholarships to the graduating class of 2017 and provide $500 savings accounts to 250 of our most underserved families and their newborns. Thank you to the leaders of this summer’s Invest in Youth: Pathways to Success Boys and Men of Color Career Summit. More than 1,000 boys and men of color from ages 18 to 29 spent some time this summer attending the Summit, where they were able to hone their leadership skills, interview with companies, and connect with community resources to help break down barriers to employment and opportunities. Thanks to the Kenneth Rainin Foundation’s SEEDS of Learning program 1,300 kids advance their literacy skills and are prepared to succeed in school. Check out SEEDS of Learning and find out about the families and educators creating bright futures for our students. Thank you to the Oakland Public Education Fund and its hundreds of individual Oaklanders and companies, like Lyft and Clorox, for volunteering and helping thousands of Oakland public school students start the year with new backpacks stocked with school supplies. Check out pictures of folks loading up and delivering backpacks through the Oakland Public Education Fund’s annual backpack drive. 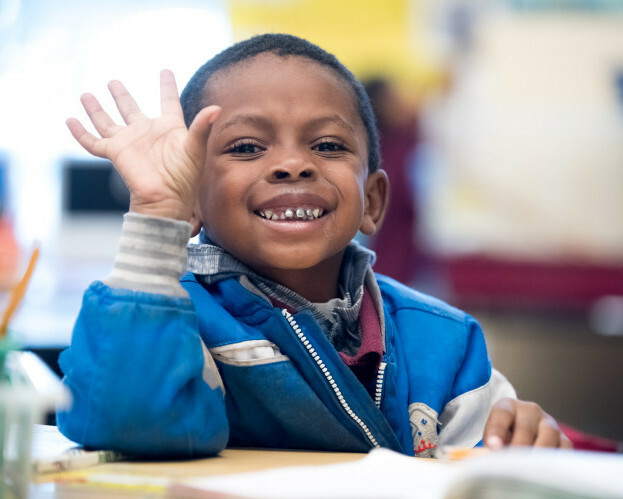 And remember – your chance to contribute to opportunity for Oakland’s students doesn’t end with the beginning of school – it’s just beginning! There is no better way to bring in the new school and to get to know all the great things happening in Oakland education than to volunteer in one of our schools. The Oakland Public Education Fund has partnered with the Oakland Unified School District to coordinate and handle all the volunteer needs of our schools by pairing you with our schools. So please consider becoming a volunteer. There are far more contributions than we can mention in a single blog post – please add one you think deserves credit in the comments, or post them on Twitter at #OUSDday1 #backtoschooloakland or Facebook.